From time to time our school Governors make visits to school to help us to evaluate our provision. There are various categories of governors – Foundation, Local Education Authority, London Diocese, Parent-Governor, Staff Governor and Associate Members. Overall we meet regularly to ensure that the school’s objectives are being fulfilled and that high standards in all areas are maintained. Marianne Jenkins is a foundation governor representing St Mark's Church. She is Co-Chair of governors. She has worked in the UK feature film industry for the last 25 years, completing, most recently, a near two year stint as the unit production manager on Justice League. She also works as Warner Bros. post production executive for the UK and Europe. She has two children at the school and a third now at secondary school. Mr Joel Wolchover joined the Governing board in January 2016. He is Vice-chair of the governors. He was elected as a parent governor. Joel has 3 children in the school. Mr Kwamena Duker became staff governor in September 2015. He sits on the Teaching and Learning Committee. Kwamena is a Year 2 teacher at the school. Kwamena's term of office as staff governor comes to an end on 01/09/22. Mr Chris Ampofo is a Foundation Governor representing St Marks Church. For 20 years Chris has been a director of a company that (accommodates ,supports and) mentors young people on their journey to improve their life skills in order to live independently. Chris is a member of the Resources Committee. Chris is a former professional footballer and now a Uefa B qualified football coach. His link subject at the school is PE. Chris is Chair of Brent Schools Football Association and supports the Brent district representative teams. Chris has three children at Princess Frederica. Chris' term of office as a Foundation Governor comes to an end on 12/05/17. In the 2014-15 academic year we sadly lost our longest standing member of the governors, Mr Malcolm Winterburn. He sat on the Resources Committee and the Teaching and Learning Committee during his time as governor. Ms Cathy Hardie resigned her post as a governor during the summer term, due to exciting new commitments. We thank her for her time as governor and wish her every success for future ventures. Reverend Will Leaf moved to Kensal Rise with his family in the summer of 2016 and is vicar at St Mark’s Church. He is Co-Chair of the governing body. He has three children at Princess Frederica. The Fred’s children know him as Reverend Will and see him (and Reverend Graham from St Martin’s) each week for assemblies. Will has been ordained in the Church of England since 2010, ministering in London for all of that time. Before ordination he worked in the recruitment industry for 10 years. He is also a qualified maths teacher. Will is the link governor for RE and sits on the resources committee. Dr Rachael Newberry is a Deanery Synod Governor representing St Martin's Church. She is Vice-chair of the governors, Chair of the Teaching and Learning Committee and also sits on the Admissions Committee. Rachael has a background in Higher Education and teaches in the Department of Theatre and Performance at Goldsmiths College. She is also a Trustee of the Friends of Kensal Rise Library. Rachael's term of office as a governor comes to an end on 07/12/19. Mr Ralph Cator has been a governor since January 2015. He is an LDBS governor, representing St Martin's Church. Ralph chairs the Resources Committee. Ralph is Director of a financial services company and is a Trustee of a number of charitable trusts. He has two school age children at Princess Frederica. Ralph's term of office as St Mark's church representative governor, comes to an end on 01/03/19. Mr Dan Brandt joined the governing body in January 2015. He is a foundation governor representing St Martin’s Church and also chairs the Teaching and Learning committee. 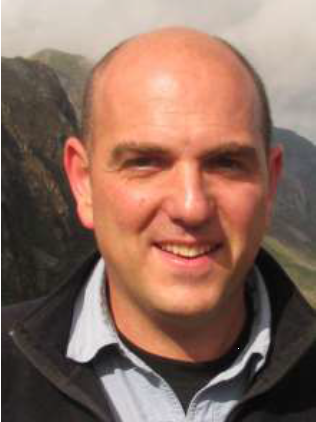 He is currently Senior Housemaster at Highgate School, where he teaches Geography and is also heavily involved in the planning of educational trips and visits. He is a qualified mountain leader and his personal interests very much lie in the outdoors. Dan has three young daughters. Dan's term of office as a Foundation Governor comes to an end on 01/03/19. 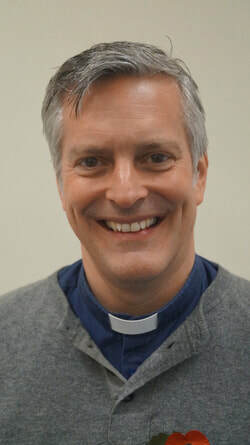 (Dr) Peter Southwood was appointed on 15 May 2017 as an ex officio Foundation Governor by the Archdeacon of Northolt at the request of the Vicar of St Martin’s Church, Revd Graham Noyce. He has been a Reader (Licensed Lay Minister) In St Martin’s since September 1999. Peter works part-time as Bursar in the Parish of Old St Pancras in Camden. He is also a consultant on the direction of conflicts towards peace or war due to his background in Peace Studies. He helped set up the International Peace Project2000, an educational charity, which is focused on educating children and young people on ‘Peace and the New Constitution’ in Zimbabwe. Currently Peter is a member of the Teaching and Learning Committee and is shadowing the role of Safeguarding Link Governor. Please see the document below for more information on the governing board.